The Chinese Animation & Comic Publishers Association hosts the Taipei International Comics & Animation Festival. In response to requests from the animation and comics industry, as anime enthusiasts, the CCPA decided to transplant its successful experience from past years, and hold this year’s event during the winter holiday period, enabling more students to attend. The association decided to hold a second festival from February 4-8, 2014. This event was held at the Nangang Exhibition Hall. Based on the concept of a "world of fantasy" organizers sought to take visitors to an unaccustomed place, relying on comic and animation products to introduce the public to a fantasy wonderland. 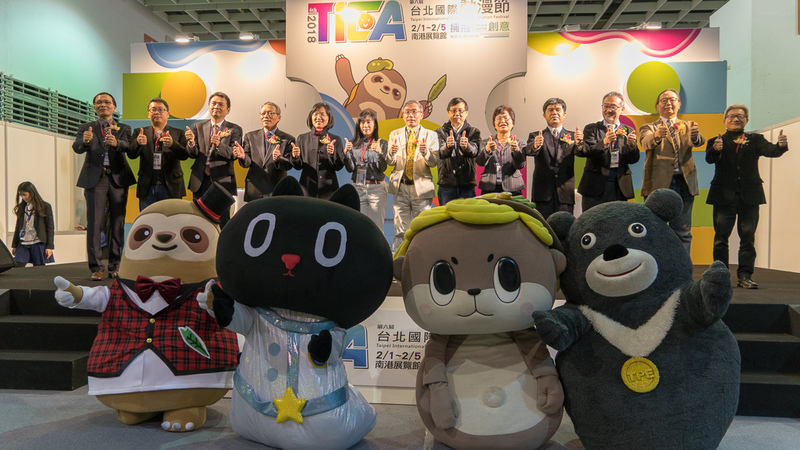 The association also held the 2014 Taipei International Comics and Animation Summit in conjunction with the festival in order to promote interaction in the international arena. Japan's Kadokawa Corp also held a Dengeki Bunko exhibit that was enormously popular. Attendance over the course of the five-day festival exceeded 400,000, with the festival now becoming a routine event during the winter holiday here. The 3rd Taipei International Comics & Animation Festival ran for six days from February 10 to February 15 at the Nangang Exhibition Hall. This year's festival centered on the theme "Light up your Passion," showing the vitality of comics and animation. The six-day festival attracted 430,000 people. 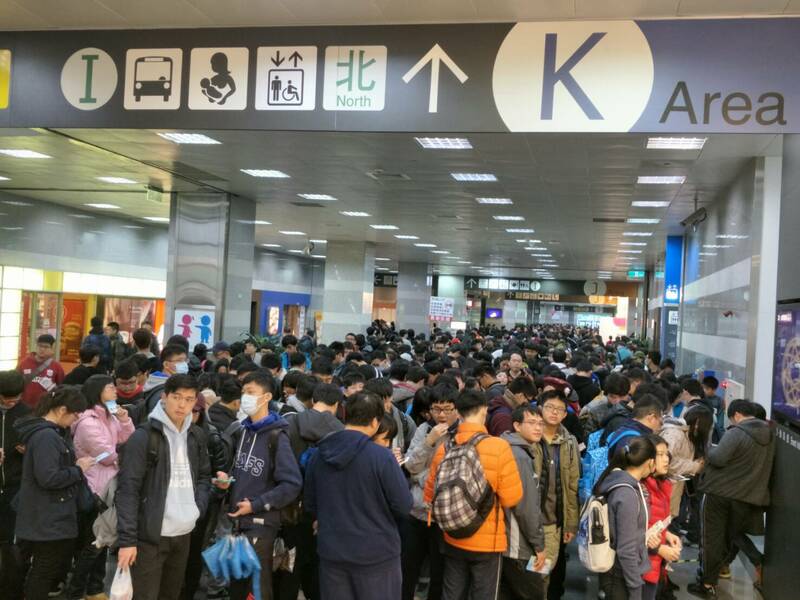 Several hundred thousand people eagerly awaited the 4th Taipei International Comics and Animation Festival, which kicked off on February 10 (the third day of the Lunar New Year) for five days at the Nangang Exhibition Hall. With the theme "Let Us Be Among Comics & Animation," the festival offered fans a great opportunity to view anime in all its forms. This broadened the horizons of festival-goers, enabled them to experience of beauty of anime, and let them immerse themselves in this wonderful art form. The 2017 Taipei International Comics & Animation Festival was held from February 2 to February 6 at the Taipei World Trade Center Nangang Exhibition Hall. The sponsors of the event set a theme of "Rock Comic & Animation," enabling people attending the event to look at comics from the standpoints of humanities, technology, knowledge, creativity, games, and aesthetics, and see how comics are changing with the times. People of all ages were able to find the unique charm of comics and animation. 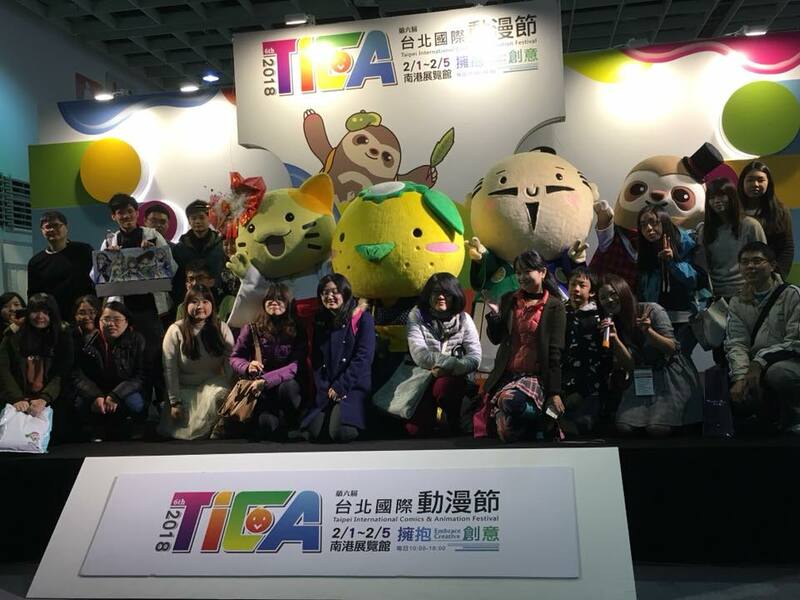 The 2018 Taipei International Comics & Animation Festival, the sixth edition of this event, was held from February 1 to February 5 at the Taipei Nangang Exhibition Center. The CCPA this year emphasized the theme of creativity, hoping that those in the industry would provide unique products and that this invincible energy would inspire people who attended the fair.